The aim of the INSPIRE Scheme is to encourage an interest in research amongst our Veterinary students and highlight how research can enhance our everyday lives as qualified veterinarians. INSPIRE is a national initiative coordinated by the Academy of Medical sciences and supported with funding from the Wellcome Trust. 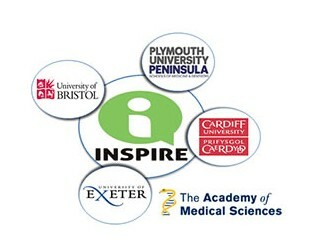 Our scheme is also linked to the INSPIRE Scheme for medical and dental students that is running across Bristol, Cardiff, Exeter and Plymouth, with plenty of opportunities to interact with medical and dental researchers and students across the four partner universities. The scheme consists of a broad range of events, activities, opportunities and even prize rewards. The INSPIRE Scheme for the Bristol Veterinary School is being led by Professor Linda Wooldridge and Professor Mick Bailey. If you have any questions/comments then please feel free to contact one of us directly, we would be very happy to hear from you and receive any feedback/suggestions that you may have.